How Does Hormonal Acne Treatment Clear Up Acne? For individuals suffering from acne, consider hormonal acne treatment to stop acne at its source. A hormonal imbalance is one of the leading causes of acne, and is the main reason why so many adults, not only teenagers, are affected by this skin condition. Pregnant women are especially susceptible to acne, since the hormones associated with pregnancy often cause the overproduction of oil in the skin. Regardless of your age, consider using an acne treatment that rebalances hormones and treatments that clean the skin from the inside out. Acne is spurred on by the overproduction of oil in the sebaceous glands. These glands lie beneath the surface of the pore and produce oil called sebum. Typically necessary for the health of your skin, this sebum is not harmful to the skin, unless it is overproduced. This excess of oil combines with dirt, debris, dead skin cells, and even pollutants in the air. Once this combination is complete, the pore of the skin is blocked and bacteria are allowed to infect the blockage. What results is either a blackhead or a whitehead. Typically, there are three main ways to treat acne: remove items that cause pore blockages, kill bacteria before they can infect the pores, or use a hormonal acne treatment. Although hormonal imbalances are often associated with more serious medical conditions, individuals of all ages are capable of being affected by a hormonal imbalance that can directly affect the quality of their skin. A hormonal acne treatment works by curbing these hormones and allowing the balance to be restored and the oil overproduction to cease. Keep in mind that you still want the sebaceous glands to produce oil, as it is critical to skin health, as long as the glands produce the appropriate amount of oil. Typically, individuals on a treatment program to rebalance their hormones take an oral medication once a day. This medication need to be taken on a regular basis, since the hormones in your body are produced around the clock. By blocking certain hormones from reaching their intended target or even being produced in the first place, these treatments are incredibly effective in acne sufferers. 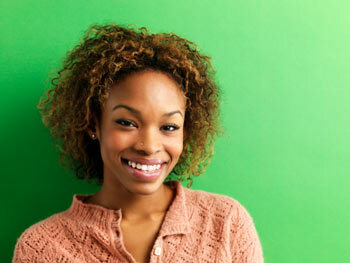 By far, the most popular form of hormonal acne treatment for women is the birth control pill. In addition to controlling hormones associated with the reproductive system in women, these pills work to control the production of oil in the sebaceous glands. This medication, just like any other form of acne medication designed for regulating hormonal imbalances are available through prescription only. In addition to speaking with a dermatologist about your acne issues, you should also be sure to contact your primary health care provider to ensure that these medications will not negatively interact with any other medications you may be taking or a current medical condition. Men and pregnant women also have availability to treatment, but it typically depends on their medical condition at the time. Especially in pregnant women, there are a number of treatments on the market that contain additives that can danger either mother or unborn child, so be sure to contact your doctor before you begin any treatment plan for acne. In general, there exists both conventional medicine and natural or herbal methods to treat hormonal imbalances that lead to acne. Talk to your doctor to find out what impact hormones may be having on your acne, if any. Then decide on what type of treatment you would prefer to being with. Want to know more about hormonal acne treatment? Sign up for my free newsletter.